We have near perfect weather in the Sunshine State, so it is not surprising that Florida has the second largest number of registered motorcyclists in the country crowding the state’s highways and byways at any given time. Despite perfect weather conditions, once the more than 600,000 Floridian motorcyclists take to the road this spring, the chances for accidents rise exponentially, so it is important to gear-up properly, remain vigilant at all times when operating your bike, and learn, and practice, the rules of the road that are designed to keep you safe. Helmet—always make sure that your new helmet fits tightly and snuggly, and be sure to ensure that the helmet has a U.S. Department of Transportation label showing that is conforms to DOT safety standards. Eye Protection—Florida law mandates that motorcycle riders wear eye protection when operating their bikes. The road throws up a myriad of objects from rocks to dirt, and wind and other airborne materials can cause the eyes to tear and reduce your visibility. 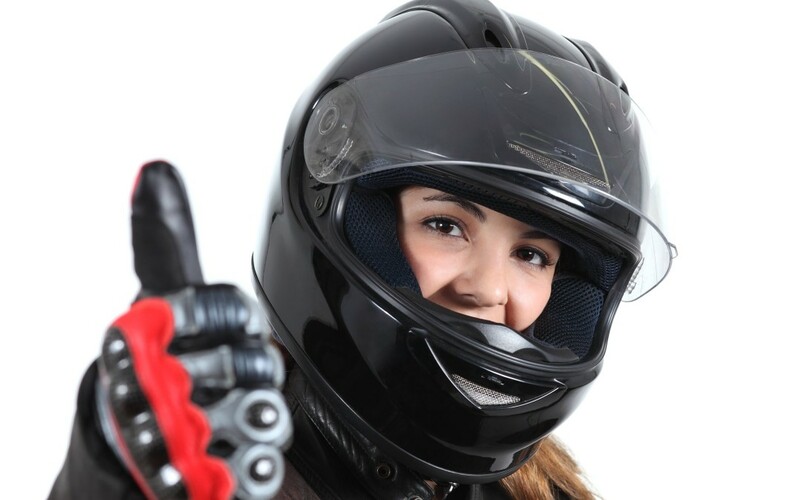 Choosing quality goggles, safety lenses, or a face shield equipped helmet is imperative to ensuring a safe ride. Clothing—the last thing you would want to experience is 100 feet of road rash in the event of a spill, so you should always choose your clothing with an eye towards protecting your skin in the event of an accident or bad weather. If all you are wearing is a feather-filled jacket when you take a spill, there is a good chance that the first responders will only find a pile of feathers and wonder what happened to the duck. As such, always select durable clothes to protect you when riding. Additionally, be sure to include gloves and proper footwear as part of your riding attire to protect your hands and feet. No amount of protective clothing will protect you on Florida’s roads this spring as summer as much as staying vigilant and out of harm’s way ion the first place. Defensive driving is the key to avoiding accidents on a motorcycle. Always make sure that there is plenty of defensive room around you and other drivers, and don’t be shy about announcing your presence with reflective, brightly lit clothing. Additionally, stay out of people’s blind spots, and always assume that vehicles making left turns, pulling out of driveways or side streets, probably do not see you and are likely to pull out in front of you, so stay alert and stay alive.